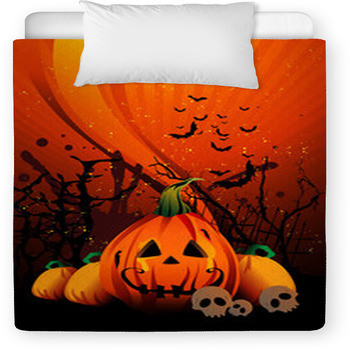 From golden pumpkins floating in black skies like shining stars to pretty witches concocting their brews on custom comforters and baby blankets, these Halloween themed designs will leave your baby wrapped in the tricks and treats of autumn. 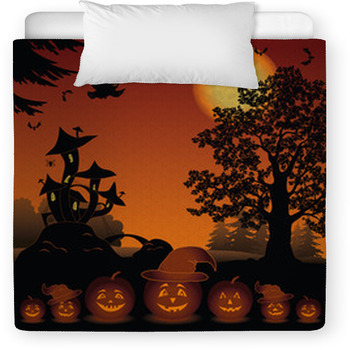 Curl a black cat around a pumpkin on a custom baby comforter and let them keep your infant company during the night. 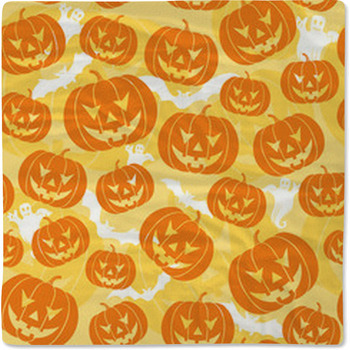 Leave ghosts in teal and olive and skulls and pumpkins in open fields under dark skies. 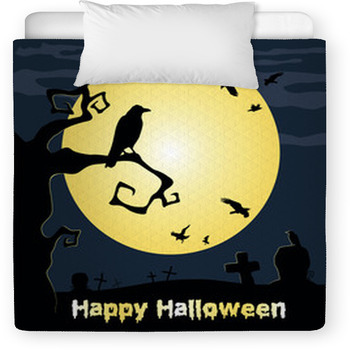 Dressed up like a fairy for Halloween under a full moon on a custom Halloween baby blanket. 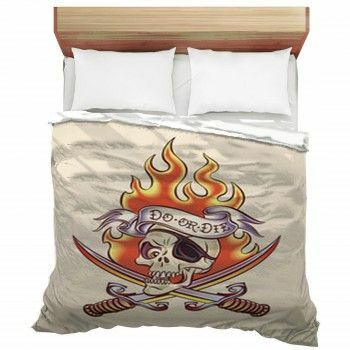 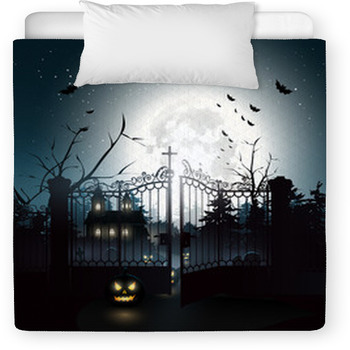 Leave waves and rivers of gold and olive on in front of haunted houses custom baby bedding. 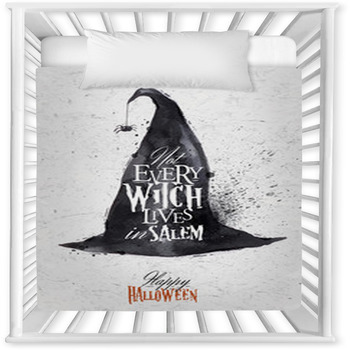 Put a scarecrow in the field to chase off the bats and flying witches with mini throw pillows in the crib. 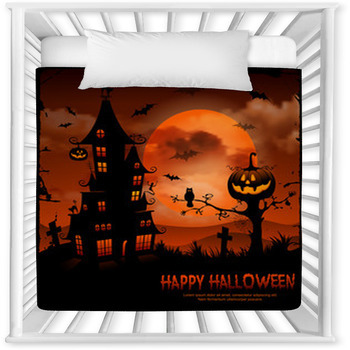 From Halloweens icons floating in black polka-dotted skies to jack-o-lanterns hung from silver trees and kids ready to trick or treat, this custom Halloween themed baby bedding wraps your little goblin up in spider webs and glowing sheriffs, puts a royal blue wizards hat on a brightly shining pumpkin, and plants a beaming jack-o-lantern under bare branches in a cherry glow. 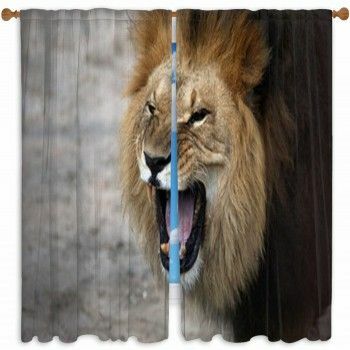 Blanket your baby with apricots, berries and cinnamon on a custom fleece blanket. 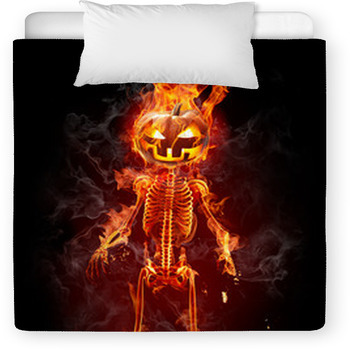 Let Halloween shine in a warm sunset. 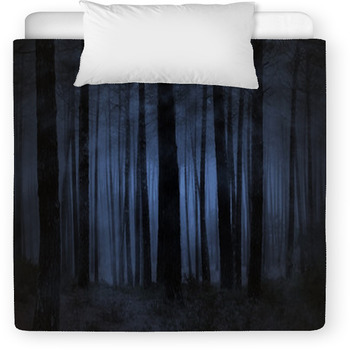 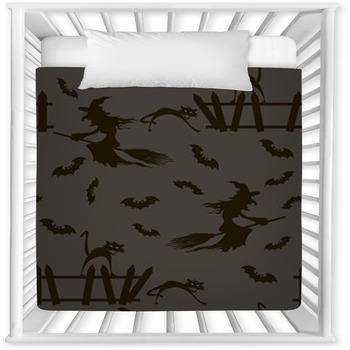 Leave a blue moon behind a curling black wave for bats to fly across on custom pillow shams. 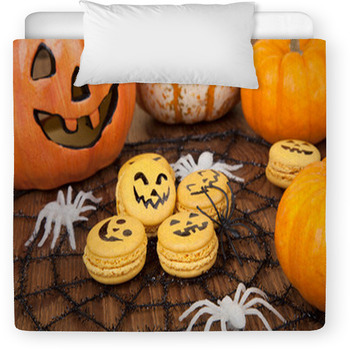 With spider webs at the entrance to cemeteries and pumpkins carved into a silver moon, this Halloween baby bedding is one of its treats for sure.